MusiCorps is to perform a free concert during the Democratic National Convention on Tuesday, July 26 at the Trocadero Theater in Philadelphia. 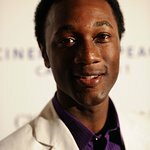 The event will feature a performance by internationally acclaimed singer songwriter Aloe Blacc. This free concert is the only event in support and celebration of injured veterans taking place at the 2016 Democratic National Convention in Philadelphia. With over 1500 guests and over 35 federal and statewide elected officials, this will be the most talked about event of Tuesday. Formed in response to the crisis of returning service members injured in Iraq and Afghanistan, MusiCorps is a conservatory-level music rehabilitation program that helps wounded warriors play music and recover their lives. It has been praised by the Wall Street Journal as “revolutionary,” is pioneering in the field of adaptive music, and has helped countless wounded warriors learn or relearn how to play an instrument as a core part of their rehabilitation. With MusiCorps, disabilities disappear and severely injured veterans soar, reaching the highest levels of musical achievement. The band has wowed millions of people with powerful performances that speak to the talent and resilience of our veterans. WHEN: Tuesday, July 26. Doors open at 10 PM, immediately following the conclusion of the evening’s convention activities at the Wells Fargo Center. WHERE: The Trocadero Theater at the corner of 10th and Arch Streets in Center City Philadelphia. “I’m honored to perform with MusiCorps. As the child of a retired Marine Corps Major, I know the hard work that military personnel do to protect our freedoms and we are all indebted to their service,” said Blacc. Find out more about MusiCorps here.